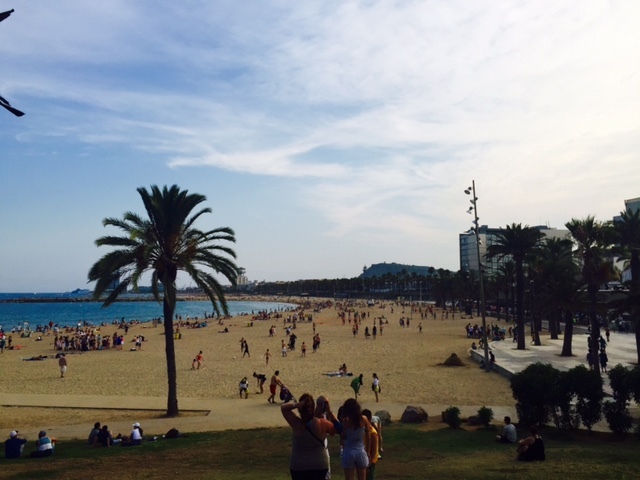 Today we want to talk about the wonderful beaches of Barcelona! 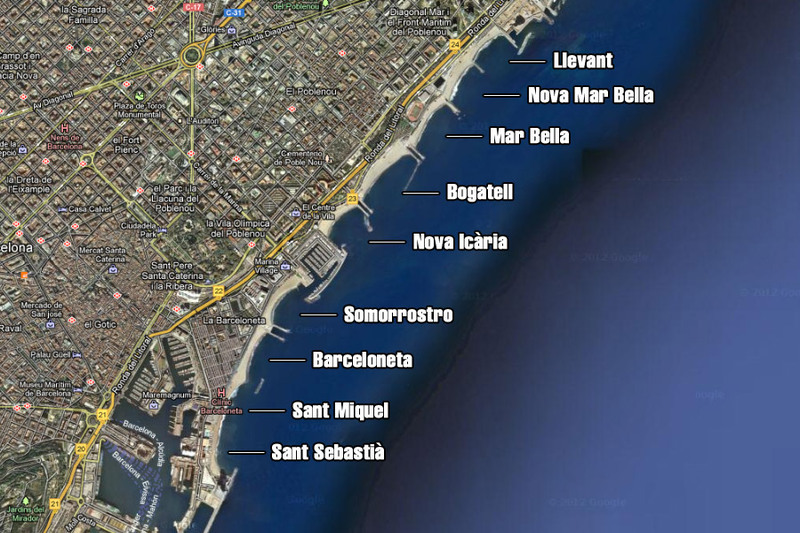 Barcelona has 9 beaches separated by breakwaters. 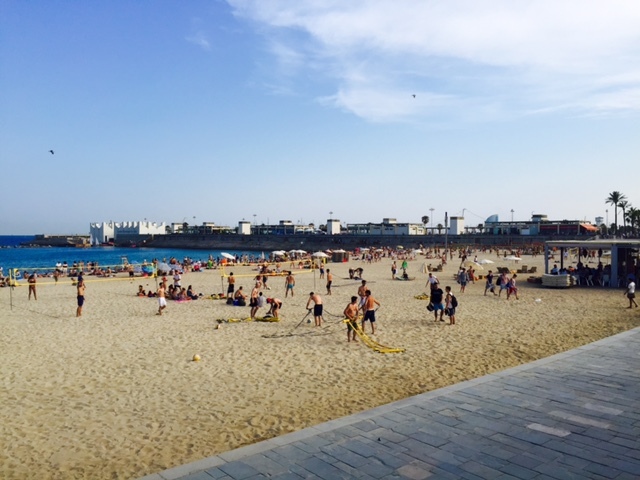 All the beaches have they own chiringuitos, bars in the sand where you can enjoy a good sangria and tapas! 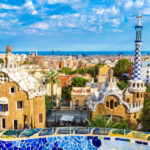 The most popular beaches are: Barceloneta, the favorite beach for tourists it’s the best communicated regarding to public transport, and where the pubs, bars, and the night life burn! 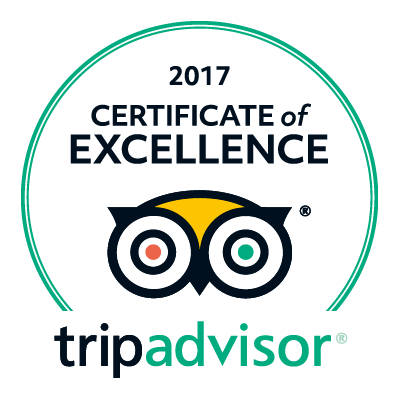 There are 3 volleyball courts in the sand, entertainment area with a ping – pong and fitness area in the center of the beach! 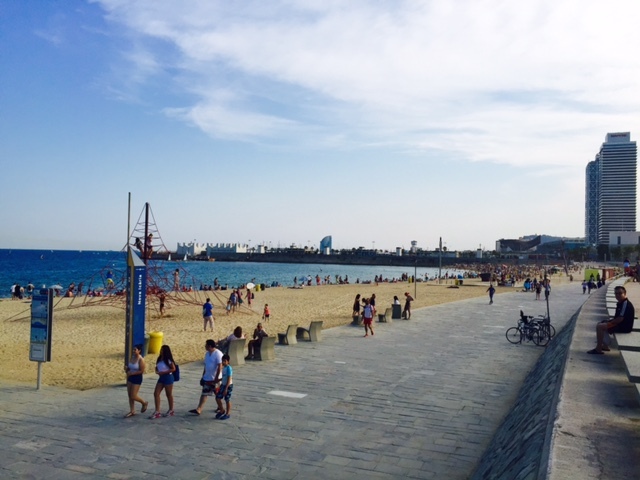 The Mar Bella beach was renovated for the Olympic Games in 1992. It is perhaps the beach where the youngest people use to go. 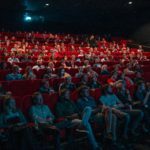 It has children’s playing area, space for skateboarding, volleyball courts in the sand, different water activities and space for…. nudism! 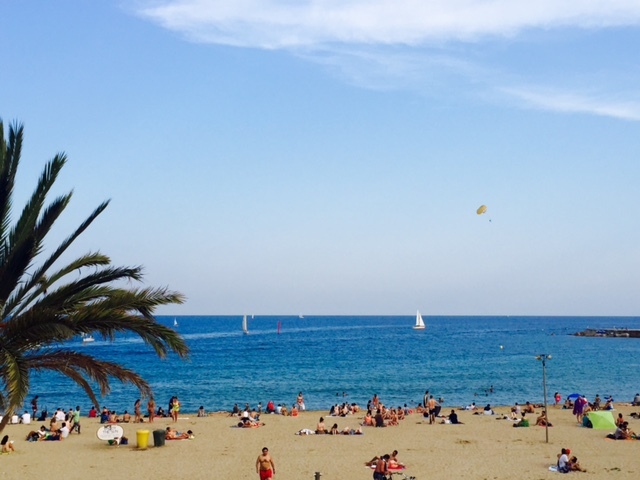 On the other hand, Nova Icària is considered one of the most calm and peaceful beaches of Barcelona. That’s why, usually, it’s frequented by families with children. 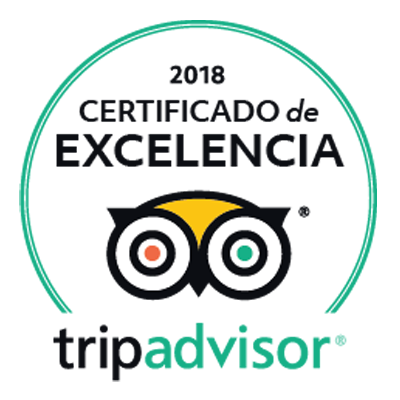 Besides that, there are other beaches as Sant Sebastià, Sant Miquel, Somorrostro, Bogatell, Nova Mar Bella, LLevant… These beaches are also equipped with volleyball courts, entertainments for children and for sure chiringuitos! 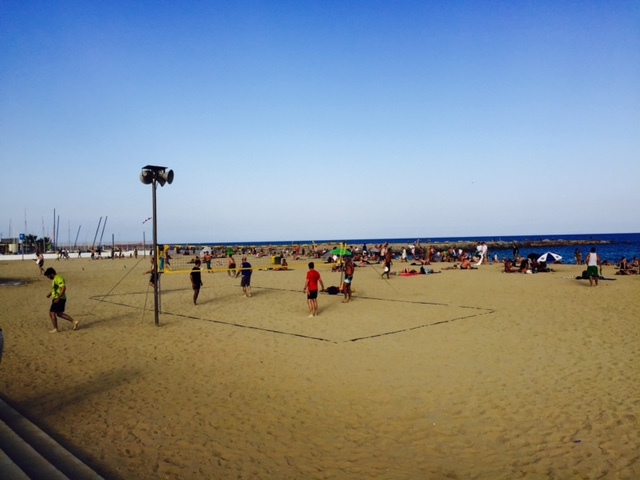 In conclusion, all the beaches of Barcelona are perfectly equipped for your stay in the city! So let’s be awareness and throw all the rubbish in the trash cans to maintain clean these wonderful beaches!